I think boy and girl books do have a place in literature, such as other books that may target specific age categories, religious beliefs, or often writing for a specific group of people is seen with self-help books. Whether a book is intended or categorized as self-help does not mean it is absent of such qualities. The challenge is whether we choose to label them as a girl or boy books. I think labeling books as such may interest more for that gender but may also run the risk for many who were initially interested in the book no longer desiring to read it. Also, labeling is further an issue as seen in the following quote from the article Opposing Viewpoints ,“if we ask 100 boys and 100 girls to list their favorite books some titles that are popular on the boys list won’t be on the girls list and vice versa. However, that does not make those books boy or girl books” (2011). Are you There God? It’s me Margaret deals with broader topics relating to mixed religious marriages and the effect it may have on the youth, as well as dealing with everyday issues tween face as playing flirtatious games like spin the bottle or two minutes in the bathroom which are both great topics for boys and girls alike. Still, this book does have some very highly preferred girl topics. Maybe since I have no male siblings I find it a stretch to think that tween boys may be eager to read about a chant to increase bust size or the joy and excitement of a girl preparing for menstruating. These topics are excellent for girls, especially those who may not have the luxury of discussing it with their parent/guardian. So, in the case of Are you there God? It’s me Margaret, having a book that is specified for a specific gender I believe is acceptable, and if not specified as a girl book, girls will continue as they have in the past to gravitate toward it as a girl book. Sometimes I think in our attempt to break barriers such as the gender divide that we actually may be creating a larger divide than what initially existed. And, what is wrong with having some books targeted for boys or girls as is obvious with Are you there God? 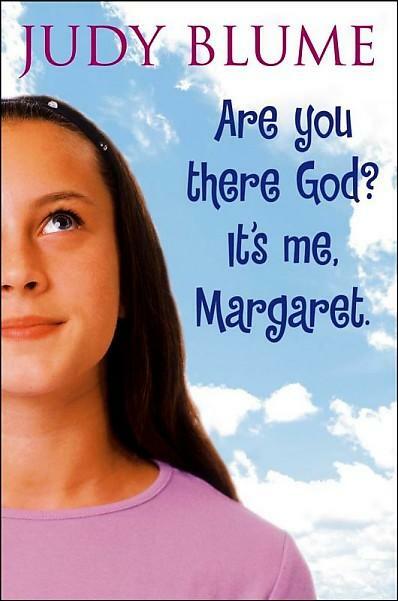 It’s me Margaret? This book does such a nice job dealing with many issues dealt with by tween girls, particularly the sense of female identity through bodily image and puberty as is associated with becoming a “woman”. On the other hand, Hatchet has a male protagonist and is written by a male, but this book has nothing specific that can’t be taught to either gender reading the novel. 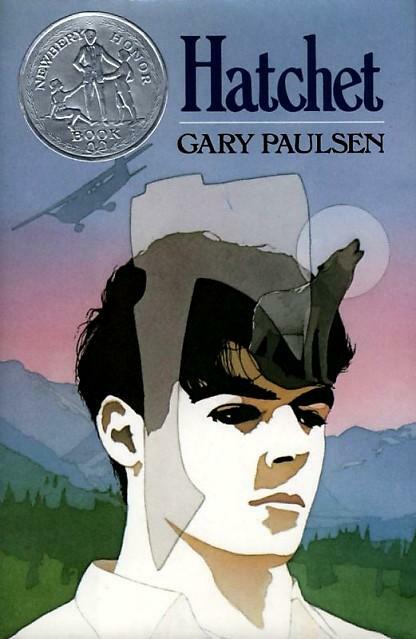 There is a boy on the cover of the novel, a wolf, and a hatchet, which by initial glance may have a higher chance to interest a boy in choosing Hatchet in comparison to Kiss & Make Up by Katie D. Anderson (not yet released) which has all the words of the title (front cover) spelled out using lip gloss, lipstick, and nail polish containers. Still, I don’t see how Hatchet can be categorized as a “boy” book. Topics of parents divorcing, custody, ruminating thoughts, helplessness, and internal strength to survive are not gender specific. Many people may just assume a boy has a great chance at surviving alone in the wilderness for two months because some girls may say they could never manage, but let’s not forget that the Brian himself in the book questioned his own abilities and only chose to challenge himself to survive after much accepted defeat. Both books equally exemplify internal assets of positive identity related to middle childhood (8-12 years old) such as personal power, self-esteem, sense of purpose, and positive view of personal future. Hatchet and Are you there God? It’s me Margaret both example having commitment to learning and constructive use of time. Since the developmental assets are similar in both Hatchet and Are you there God? It’s me Margaret, hopefully whichever of the two books a tween chooses to read with no one influencing their choice, I would assume that either novel will aid in their personal developmental growth. I think for most individuals, the idea of a boy vs. girl book is more determined by the gender of the main protagonist and even the gender of the author. The publisher for the Harry Potter series initially suggested so not to lose the interest of “boys” that J.K. Rawlings abbreviate her first name (invented a middle initial) so the author’s gender was inconspicuous.Harry Potter has both female and male protagonists, and covers a dearth of gender and non-gender specific topics as appropriate to the plot of the story. I really am curious if the Harry Potter series would have been less popular with tween boys if they saw “Joan” rather than “J.K.”?